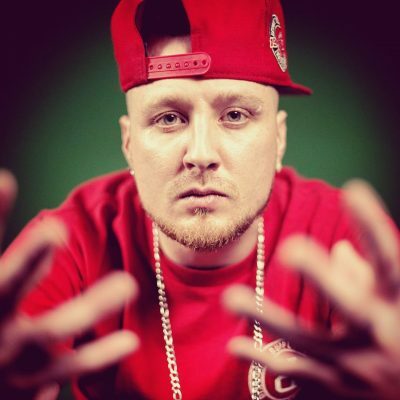 The newest artist signed to Psychopathic Records, Lyte will be dropping his debut album on the label later this year. Practically nothing was known about this album, or any of the other albums dropping on The Hatchet for that matter, until now. The title of the album was announced on ICP’s official Facebook page by Mr. X as “Broke But Still Shining,” which really seems to fit with the Year of the Juggalo message of positivity that Psychopathic has been putting forth. We also know that this ninja is currently in the studio dropping some fire for the album. the clip sounds good especially the beat but unfortunately that generic horrorcore strained vocals delivery is like nails on a chalkboard to me.. its completely beyond me how so many ninjas can tolerate it from so many underground rappers.. hearin’ him talk in the “infomercial”, it kinda seemed that could be close to his actual voice tho.. so i’ll give him the benefit of the doubt, for now.. I looked at that title and the first thing that popped into my head was… Isn’t that “Stillbirth Knob Genius” with the letters rearranged? Sure enough it is. Caught this guy on the Riddle Box tour and had a feeling they were going to sign him so I looked into him back in September. I think he was already working on an album called ”Broke But Still Shining” before he got with PSY. The clip don’t sound too bad. Right off I thought of it being a rip off kinda of Ces Cru. No idea why. But I’m interested in peepin the album, I just hope it doesn’t have like 1–3 songs that are decent. Cuz saying “Lyte has been in the studio all week, cranking out the hits” gives me an uneasy feeling that, that may be the case. Hope not. He DOES look a lot like the Bruce brothers, doesn’t he? I wonder if he’s an illegitimate love child from the great mileko groupie banging days.